I love drinking beer and eating lol … so when I tried Wurstküche for the first time, I was in heaven! Wurstküche is such a simple concept, yet it is so unique, alternative, and hip. If you like hot dogs, beers, creating a crayon masterpiece on your table, and having a good time, this is the place for you! It’s essentially a German gastropub where they serve a variety of unusual hot dogs/sausages/links (or whatever you want to call them) such as rattlesnake and rabbit with jalapeño peppers, sundried tomato and mozzarella chicken sausage, and also some classics like Italian style sausage. They also have three equally amazing vegetarian flavors! On top of the sausage, you can choose toppings like grilled onions, spicy or sweet peppers, and sauerkraut, AND make sure you order your side of delicious Belgian-style fries with yummy dipping sauces (my fave is the Thai peanut!) and a beer. If undecided on the beer selection, ask for a recommendation that would go well with you food. These guys know their game! When you come into the sitting area, you’ll find an industrial/modern looking area with communal tables, another beer bar to keep the drinks coming, and a cool DJ on weekends to keep the atmosphere on point. Soooo, if you are around this part of town, mark this place at the top of your “things to do in Venice” list. 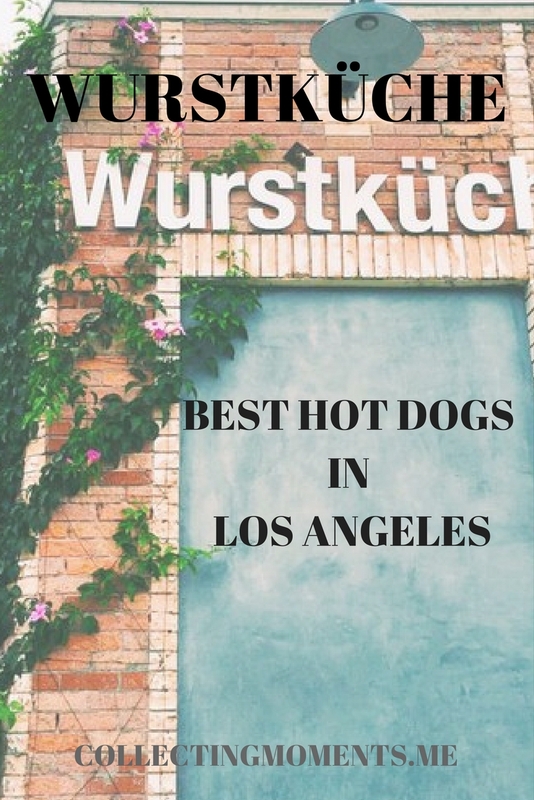 FYI- Wurstküche is all ages, so bring all the friends and family you want! !